I joined the free software community while I was only 17 years old. I started as a user but one year later I got involved in Debian and became an official Debian developer in 1998. In 2002, I got my engineering degree in computer science. Then I worked for 2 years in a small Swiss company where I was maintaining my own custom embedded Linux distribution (based on Debian of course) and customer specific software. 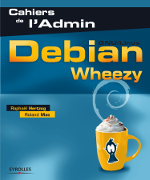 In 2004, I contracted with Eyrolles to write my first French book (Cahier de l’Admin Debian). 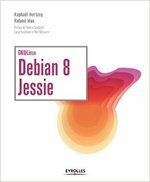 It got first published in 2005 and has been updated for each subsequent Debian release! The same year I quit my job to launch my own company with the goal of living from my Debian expertise. While I managed to make a living with Freexian, it has not been up to my expectations since almost none of the work resulted in direct contributions to Debian and that’s what I really enjoy doing! In 2010 I decided to fix this. I am using multiple services to let people support my free software work and I’m trying hard to provide incredibly useful documentation products (through my blogs and my books). 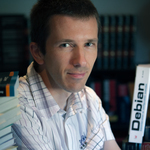 I have been contributing to Debian since 1998, check the summary of what I did over the years. Maintaining my packages (check the list of packages where I’m maintainer or co-maintainer). Participating in discussions on several Debian mailing lists, in particular debian-qa, debian-dpkg, debian-devel, debian-project and debian-vote. Administering the Package Tracking System.